Elvis Christmas at Graceland Christmas was Elvis’ favorite time of the year. A red image of Elvis Presley standing at a microphone tells residents and tourists in Friedburg, Germany, to keep their blue suede shoes parked firmly on the sidewalk, while a green silhouette of the singer showing off his signature gyrating moves lets people know that it’s time to rock ‘n’ roll. 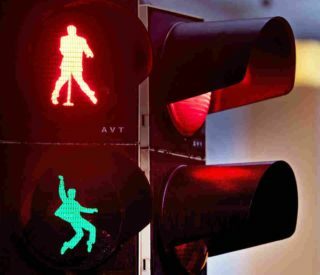 The town of Friedberg, Germany, this week installed three pedestrian traffic lights that incorporate images of the King. The don’t-walk light shows Presley at a microphone, while the walk light depicts him in his trademark dance pose – heels up, hips swiveled. 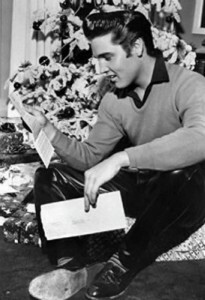 Presley was stationed in Friedberg from October 1958 to March 1960 while he was in the U.S.
Christmas meant home and family and fun. 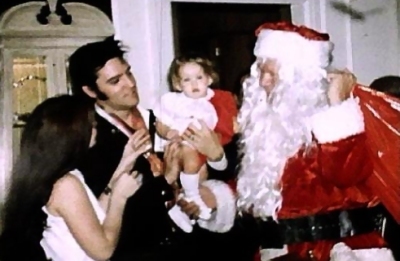 With his success and the purchase of Graceland in March 1957, Elvis soon had the pleasure of turning his family home into a Christmas wonderland. 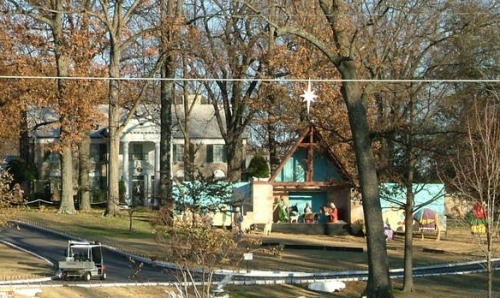 Elvis would stretch the season as long as possible, having his decorations in place at Graceland just after Thanksgiving and leaving them up until the day after his birthday, January 8th On Dec. 12, 1957 for $300.00, Elvis purchased from Bains Sign Company the Santa and sleigh yard decorations with his message to the world “Merry Christmas to All, Elvis” Inside Graceland the drapes were changed to red velvet. Holly and Poinsettia were everywhere. Adorned with red ornaments, the beautiful white nylon Christmas tree rotated on its stand and played Christmas carols. That year, Graceland took on an added glow from some special visitors, Hanner Melcher, Miss Austria and her roommate Cathy Gabriel, Miss Ohio. 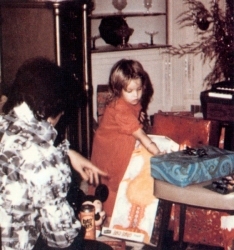 Christmas Vernon plays Santa for Lisa Marie 1968 Christmas 1960 Elvis added the nativity scene and Christmas trees on the front lawn, plus blue lights along the driveway. It became a Christmas tradition from then on, with a Santa setup going into storage. His father joked that, with the long driveway lined in lights and airport being nearby, pilots might get confused and think Graceland was the place to land. Elvis had met both of these beauty queens in Las Vegas. Hanner and Elvis had posed for a photo shoot in October. Fans know the picture well of Elvis wearing a black leather jacket, astride a Harley Davidson motorcycle with a lovely platinum blonde. 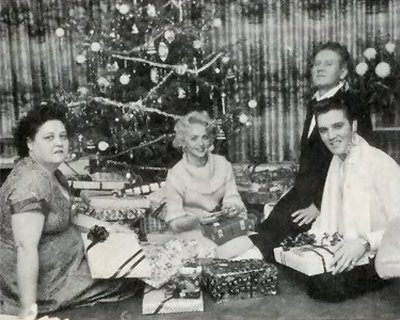 Both Henner and Cathy posed with Elvis at Graceland that Christmas, seated together on the staircase in the foyer as he contemplated his draft into the U.S. Army – a publicity shot that had them looking at a calendar as they counted the days before Elvis would have to report for duty.